These conditions include liver disease, tuberculosis, HIV/AIDS or other sexually transmitted infections, cancer, hepatitis C, chronic obstructive pulmonary disease (COPD), heart disease and diabetes, Science Daily reports. Researchers from the Massachusetts General Hospital Recovery Research Institute analyzed data from the 2017 National Recovery Survey. They found levels of hepatitis C, COPD, heart disease and diabetes were higher among those in recovery, compared with the general population. 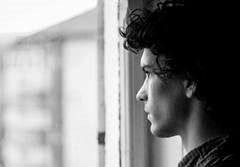 Realizing that your teen or young adult child needs help for his or her substance use can be scary and overwhelming. Let us help.